Building the best features into every stove, each Channing III has a 265 CFM blower system for moving the exceptionally warm heat into the room. During the early fall and late spring, you may operate your stoker without any blower. No Power - No problem! Alaska offers an Automatic Inverter that will automatically switch over to DC power and back to AC when power is restored. The inverter will operate you Alaska feeder system up to 24 hours! * Power Vent: No chimney necessary. 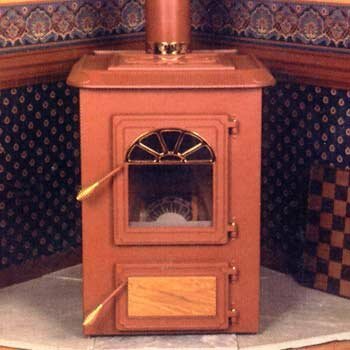 A small vent through an exterior wall is sufficient to vent gases produced by the stove.